ELIGIBILITY. Unless otherwise specified, the Contest is open only to legal U.S. resident’s age eighteen (18) years or older at the time of entry with a valid Social Security number and who reside in the Central Virginia listening area. Unless otherwise specified, employees of Summit Media, its parent company, affiliates, related entities and subsidiaries, promotional sponsors, prize providers (Southern Getaway, LLC), advertising agencies, other radio stations serving the Summit Media radio station’s listening area, and the immediate family members and household members of all such employees are not eligible to participate. The term “immediate family members” includes spouses, parents and step-parents, siblings and step-siblings, and children and stepchildren. The term “household members” refers to people who share the same residence at least three (3) months out of the year. An individual may win a Summit Media Contest only once per one (1) month period unless otherwise specifically stated. Entrants may not use an assumed name or alias (other than a screen name where a contest involves use of a social media site). Contests are subject to all applicable federal, state and local laws and regulations. Participation constitutes entrant’s full and unconditional agreement to these Official Rules and Sponsor’s decisions, which are final and binding in all matters related to the Contest. Winning a prize is contingent upon fulfilling all requirements set forth herein. CONTEST PERIOD. The Contest will begin Monday, January 1, 2018 and end Monday, January 29, 2018. Sponsor’s office computer is the official time keeping device for the Contest. HOW TO ENTER. Listeners will be asked to visit K95country.com during the contest flight dates and register their name, contact information, date of birth and permanent home address. Starting on Monday, January 8, 2018 listeners will be asked to listen Monday-Friday at 7:00am EST, 12:00pm EST and 5:00pm EST for their named to be announced on the air. After the name is announced that individual will have 9 minutes and 53 seconds to call 804-345-9595 to be qualified to win the grand prize. In the event of a dispute as to any entry, the authorized account holder of the email address or telephone number used to enter will be deemed to be the participant. The “authorized account holder” is the natural person assigned the telephone number by the wireless carrier or an email address by an Internet access provider, online service provider or other organization responsible for assigning email addresses for the domain associated with the submitted address. Potential winner may be required to show proof of being the authorized account holder. All entries become the sole and exclusive property of Sponsor and will not be returned. Sponsor reserves the right to contact entrants and all other individuals whose telephone number is submitted as part of said Contest. TELEPHONE AND DELIVERY DISCLAIMER. Participants are restricted to the use of ordinary telephone equipment. Participants that enable the “Caller ID” block function will not be allowed to participate unless they enter their correct area code and telephone number. The Company disclaims all liability for the inability of a participant to complete or continue a telephone call due to equipment malfunction, busy lines, inadvertent disconnections, acts beyond the Company’s control, or otherwise. The Company disclaims all liability for any delays, incorrect delivery, loss, or failure in the delivery of any item sent by mail, courier, express, electronic transmission, or other delivery method. The Company is not responsible for mechanical, technical, electronic, communications, telephone, computer, hardware or software malfunctions or failures of any kind, including: failed, incomplete, garbled or delayed transmission of online entries, traffic congestion on telephone lines, the Internet or at any website or lost or unavailable network connections which may limit an online entrant’s ability to participate in the contest, and any injury or damage to entrant’s or any other person’s computer related to or resulting from participating in or downloading any information necessary to participate in this contest. Due to the time delay that exists between a Summit Media radio station’s over-the-air signal and its online webcast, listeners who listen to a Summit Media radio station online may hear Contest information or a cue to call later than listeners listening to the station’s over-the-air signal. As a result, the odds of an online listener winning a Contest may be diminished. WINNER SELECTION AND ODDS OF WINNING. 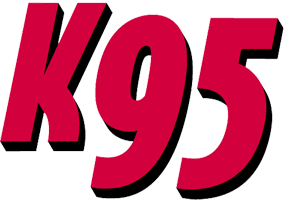 Listeners will be asked to visit K95country.com during the contest flight dates and register their name, contact information, date of birth and permanent home address. Starting on Monday, January 8, 2018 listeners will be asked to listen Monday-Friday at 7:00am EST, 12:00pm EST and 5:00pm EST for their named to be announced on the air. After the name is announced that individual will have 9 minutes and 53 seconds to call 804-345-9595 to be qualified to win the grand prize. On Monday, January 29, 2018 WKHK K95 on-air personalities will launch a “Facebook Live” video from facebook.com/k95richmond. During the “Facebook Live” video all of the on-air qualifiers names will be placed into a container and (1) name will be pulled. That name will be declared as the grand prize winner. Odds of winning the Contest prize depend on a number of factors, including, but not limited to, the number of listeners participating at any given time. He or She will be awarded the prize subject to verification of eligibility and compliance with the terms of these rules. Sponsor’s decisions as to the administration and operation of the Contest and the selection of potential winners are final and binding in all matters related to the Contest. Any protest in the conducting of the Contest, the selection of the winners, or the awarding of prizes must be made within three days of the conclusion of the contest; the resolution of any protest shall be in the sole discretion of Sponsor, whose decision shall be considered final. NOTIFICATION AND VERIFICATION OF POTENTIAL WINNER. POTENTIAL CONTEST WINNERS ARE SUBJECT TO VERIFICATION BY SPONSOR WHOSE DECISIONS ARE FINAL AND BINDING IN ALL MATTERS RELATED TO THE CONTEST. The potential winner must continue to comply with all terms and conditions of these Official Rules and/or the Office Rules of the Contest, and winning is contingent upon fulfilling all requirements. The potential winners will be required to come in person to Sponsor’s local office 812 Moorefield Park Drive Suite 300 Richmond, VA 23236 within 30 days of winning the contest during normal business hours, Monday through Friday, to provide proof of identity, execute an affidavit of eligibility, a liability/publicity release (except where prohibited), and a W-9 IRS Form, in order to claim his/her prize. A winner who executes these documents within the required time period will be deemed to have accepted the prize and thereafter will not be permitted to rescind their acceptance of the prize and/or return the prize. If a potential winner cannot be contacted, fails to provide the affidavit of eligibility and/or the liability/publicity release within the required time period, or if the prize or prize notification is returned as undeliverable, potential winner forfeits the prize. In the event that the potential winner of a Contest prize is disqualified for any reason, Sponsor may award the applicable prize to an alternate winner by random drawing from among all remaining eligible entries, or other means chosen by the Sponsor and indicated in the particular contest rules. PRIZES. Southern Getaway, LLC will provide the Grand Prize Winner with the following: (1) Prize package for one winner and their guest to attend Castaway with Southern Ground, a four night all-inclusive concert vacation featuring Zac Brown Band at Hard Rock Hotel Riviera Maya. Mexico (the “Event”). Castaway will take place from March 16-20, 2018. Prize to include a $1,000.00 USD voucher to be used towards airfare, as well as ground transportation to and from Cancun International Airport to Hard Rock Hotel Riviera Maya. The Grand Prize as an estimated retail value of $5,000.00 United Sates of America Currency. While at the event the prize will include: All concert performances, workshops and event-curated activities at the event. Four-nights of accommodations at the Hard Rock Hotel Riviera Maya on the nights of March 16-19 with checkout on the 20th. Unlimited food & drink, including alcohol, 24 hour room service, free wireless internet, free local US and local calls from guests room, pool & beach wait service, all taxes and gratuities included in ticket cost, 750 resort credits provided by Hard Rock. Sponsor reserves the right to substitute any listed prize for one of equal or greater value for any reason. For prizes that involve travel, winner agrees to accept all blackout dates, space availability limitations, etc. established by Sponsor’s prize provider(s), such as hotels, airlines, railroads and ships. In taking any trip as a prize from Sponsor, winner does so entirely on their own initiative, risk and responsibility. If concerts or other ticketed events have been awarded as a prize alternative and the concert or event is postponed, rained out, cancelled or does not occur for other reasons beyond Sponsor’s control, Sponsor will not be responsible for replacing the prize. If winner requests that a prize be mailed to him/her, and Sponsor agrees to do so, winner agrees that Sponsor will send the prize by U.S. Postal Service, and that Sponsor is not responsible for lost, stolen, or misdirected mail, and that the prize will not be replaced if it is not received by winner. ENTRY CONDITIONS AND RELEASE. By entering a Contest, each participant agrees to: (a) comply with and be bound by these Official Rules, and the decisions of Sponsor, which are binding and final in all matters relating to any Contest; (b) release and hold harmless Sponsor, Summit Media, and its subsidiaries, related and affiliated companies, participating sponsors, the prize suppliers and any other organizations responsible for sponsoring, fulfilling, administering, advertising or promoting the Contest, and each of their respective past and present officers, directors, employees, agents and representatives (collectively, the “Released Parties”) from and against any and all claims, expenses, and liability, including but not limited to negligence and damages of any kind to persons and property, including but not limited to invasion of privacy (under appropriation, intrusion, public disclosure of private facts, false light in the public eye or other legal theory), defamation, slander, libel, violation of right of publicity, infringement of trademark, copyright or other intellectual property rights, property damage, or death or personal injury arising out of or relating to a participant’s entry, creation of an entry or submission of an entry, participation in a Contest, acceptance or use or misuse of prize (including any travel or activity related thereto) and/or the broadcast, exploitation or use of entry; and (c) indemnify, defend and hold harmless the Released Parties from and against any and all claims, expenses, and liabilities (including reasonable attorneys’ fees) arising out of or relating to an entrant’s participation in the Contest and/or entrant’s acceptance, use, non-use or misuse of the prize. PUBLICITY. Except where prohibited, participation in a Contest constitutes winner’s consent to Sponsor’s and its agents’ use of winner’s name, likeness, photograph, voice, opinions and/or hometown and state for promotional purposes in any media, worldwide, without further payment or consideration, unless otherwise prohibited by law. Winners may be required to sign a separate publicity waiver and/or release upon collecting a prize. CONSUMER CREATED CONTENT. If the entry for the Contest includes any creative material from the participant, including but not limited to, consumer created content, by submitting your entry: (1) you agree that your disclosure is gratuitous, unsolicited and without restriction and will not place Sponsor or its Contest partners under any fiduciary or other obligation, that Sponsor is free to disclose the ideas on a non-confidential basis to anyone or otherwise use the ideas without any additional compensation to you; (2) you acknowledge that, by acceptance of your submission, Sponsor and its contest sponsors do not waive any rights to use similar or related ideas previously known to Sponsor or its partners, or developed by their employees, or obtained from sources other than you; (3) you are verifying that you are the owner and producer of the submitted material and that no third party ownership rights exist to any material submitted, or, to the extent that any third party ownership rights exist, you have obtained all necessary licenses and/or clearances to use such third party content, and (4) you are hereby granting Sponsor a perpetual, worldwide, nonexclusive, royalty-free, sub-licensable (through multiple tiers) right and license to use, publish, reproduce, display, perform, adapt, modify, distribute, have distributed and promote such content in any form, in all media now known or hereinafter created, anywhere in the world, for any purpose. DISPUTES. Entrant agrees that: (i) any and all disputes, claims and causes of action arising out of or connected with the Contest, or any prizes awarded, other than those concerning the administration of the Contest or the determination of the winner, shall be resolved individually, without resort to any form of class action; (ii) any and all disputes, claims and causes of action arising out of or connected with a Contest, or any prizes awarded, shall be resolved exclusively by the United States District Court or the appropriate state court located in the Central Virginia listening area; (iii) any and all claims, judgments and awards shall be limited to actual out-of-pocket costs incurred, including costs associated with entering a Contest, but in no event attorneys’ fees; and (iv) under no circumstances will entrant be permitted to obtain awards for, and entrant hereby waives all rights to claim punitive, incidental and consequential damages and any other damages, other than for actual out-of-pocket expenses, and any and all rights to have damages multiplied or otherwise increased. SOME JURISDICTIONS DO NOT ALLOW THE LIMITATIONS OR EXCLUSION OF LIABILITY FOR INCIDENTAL OR CONSEQUENTIAL DAMAGES, SO THE ABOVE MAY NOT APPLY TO YOU. All issues and questions concerning the construction, validity, interpretation and enforceability of these Official Rules, or the rights and obligations of entrant and Sponsor in connection with the Contest, shall be governed by, and construed in accordance with, the laws of the state in which the entrant’s Summit Media radio station is located, without giving effect to any choice of law or conflict of law rules (whether of the state in which the entrant’s Summit Media radio station is located or any other jurisdiction), which would cause the application of the laws of any jurisdiction other than the state in which the entrant’s Summit Media radio station is located. LIST OF WINNERS/COPY OF RULES. A copy of the Official Rules of the Contest, or list of the winners of a Contest may be obtained requesting a copy and sending a self-addressed stamped envelope to the Sponsor address identified below. A list of winners will be made available 30 days after the conclusion of the Contest.